Abstract: Under Texas Governor Rick Perry, the Texas Film Commission (TFC) served the film, television, commercial, animation, visual effects, and video games industries in the state, offering an array of resources and incentives. The TFC’s main functions included administering the Texas Moving Image Industry Incentive Program and the Film Friendly Texas program; publishing the annual Texas Production Directory/Manual; maintaining a job hotline for cast, crew, and video game/animation positions; and providing resources and information to facilitate media production in the state. Records include correspondence, organizational charts, articles, presentations, speeches, handouts/informational documents, locations images, and databases. Dates range from 1996 to 2015, bulk 2000 to 2014. The records consist exclusively of electronic files, and are part of the Texas Digital Archive. A description of non-electronic records described in this finding aid are available at http://www.lib.utexas.edu/taro/tslac/11003/tsl-11003.html. 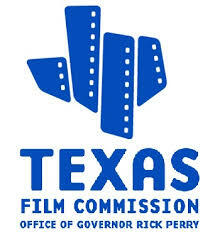 The Texas Film Commission (TFC) originated as a part of the Office of the Governor when it was created by Governor Preston Smith in 1971 (Executive Order, 62nd Texas Legislature). It was originally intended to “encourage the development of the film-communication industry” in the state, and continues its original mandate by supporting and promoting media industries in Texas. It offers an array of resources and incentives, and has expanded to serve the film, television, commercial, animation, visual effects, and video games industries. In 1987, it joined the Texas Economic Development Commission under the Texas Department of Commerce. Along with the Texas Music Office, the TFC was returned to the Office of the Governor after Ann Richards became governor in 1991. In 2007, the Texas Moving Image Industry Incentive Program was created, giving the TFC the ability to award grants to films, television, commercials, and video games being produced in the state (House Bill 1634, 80th Legislature). The same bill also created the Workforce Training Program and the Texas Moving Image Archive program, both under the supervision of the TFC. The TFC also administers the Film Friendly Texas program and the Temporary Use of State Property program, publishes the Texas Production Directory, and runs a job hotline listing cast, crew, and video game/animation positions. Under Texas Governor Rick Perry, the Texas Film Commission (TFC) served the film, television, commercial, animation, visual effects, and video games industries in the state, offering an array of resources and incentives. The TFC’s main functions included administering the Texas Moving Image Industry Incentive Program and the Film Friendly Texas program; publishing the annual Texas Production Directory/Manual; maintaining a job hotline for cast, crew, and video game/animation positions; and providing resources and information to facilitate media production in the state. Records include correspondence, organizational charts, articles, presentations, speeches, handouts/informational documents, locations images, and databases. Dates range from 1996 to 2015, bulk 2000 to 2014. The records consist exclusively of electronic files. The Administrative correspondence series includes the correspondence, attachments, memos, and related notes of TFC directors Tom Copeland, Bob Hudgins, and Evan E. Fitzmaurice, and assistant/interim director Carol Pirie, dating from 1997 to 2012. The Legislation files series documents the TFC’s role in advocating for key TFC programs, primarily the Texas Moving Image Industry Incentive Program and the use of state properties in media productions. Records include email correspondence, notes, summaries, slide presentations, handouts, and web pages dating 2007 to 2014. The Organizational charts series contains organizational charts showing the structure of the office in 2004 under director Tom Copeland; in 2005 under interim director Carol Pirie; in 2010 under director Bob Hudgins; and in 2011 under director Evan Fitzmaurice. The Outside publications series includes articles, drafts, images, email exchanges, and editorial guidelines from publishers related to the appearance of the TFC in various publications. Dates range from 2000 to 2013. The Presentations and speeches series documents outreach and informational activities of the TFC, and contains slide presentations and notes or outlines for speeches. Records date from 2000 to 2015, bulk 2007 to 2014. The Production files series highlights the TFC’s role in providing resources to support media production in the state, and include email correspondence, lists, and images. Records date from 1996 to 2014, bulk 1996 to 2001. The Publication development files series contains components of the publication of the Texas Production Directory/Texas Production Manual (TPD/TPM), and includes databases, application forms and material, planning material, and formatting/presentation information for the TPD. Records date from 1998 to 2015, bulk 2001 to 2008. Original file and folder naming has been retained throughout the records, but acronyms or abbreviations in folder names have been replaced with complete words or phrases when possible. Formats of the original electronic files include word processing or plain text files, spreadsheets, photographs and graphic images, databases, slide presentations, email messages, web pages, project management files, desktop publishing files, system files, and technical files for the formatting and display of documents, databases, web pages, or publications. Digital files presented for public use will generally be .pdf for text documents and slide presentations, .jpg for photographic or graphic images, .eml for email messages, and .html for web pages. Files in their original format are available on request; restrictions may apply. To prepare this inventory, the described materials were cursorily reviewed to delineate series, to provide an estimate of dates covered, and to determine record types. The electronic records described in the finding aid are part of the Texas Digital Archive. Because of the possibility that portions of these records fall under Public Information Act exceptions, including but not limited to personal email addresses (Texas Government Code, Section 552.137); personal mailing addresses and personal phone numbers that the TFC may have indicated would be kept private, and personal financial information (Texas Government Code, Section 552.101), an archivist must review these records before they can be accessed for research. The records may be requested for research under the provisions of the Public Information Act (Texas Government Code, Chapter 552). Records series in this finding aid have access restrictions specific to each of them. The terms of access are found following the series description. Certain electronic files in the records may require specific software to access. Technical requirements will be specified in series description. Texas Department of Commerce, Executive Office records, 1985-1991, bulk 1988-1991, 1 cubic ft.
(Identify the item and cite the series), Texas Governor Rick Perry Texas Film Commission records. Archives and Information Services Division, Texas State Library and Archives Commission. These records were transferred to the Archives and Information Services Division of the Texas State Library and Archives Commission by the Texas Office of the Governor on January 29th, 2015; an addendum was received on April 29, 2015.